Imagine being wet for weeks, all your clothes are damp and mouldy, your bones are cold, there is no electricity and no running water. Sounds hard, right? Now add daily hikes up and down steep muddy slopes to get to and from your study plots. Welcome to fieldwork in the Andes. The Andes are among the most important ecosystems on Earth. They are extremely valuable, both locally because of high plant and animal diversity and endemism and globally because of their important role in biogeochemical and climate cycles. Despite their importance and the multiple pressures that threaten the Andes, these systems continue to be vastly understudied. 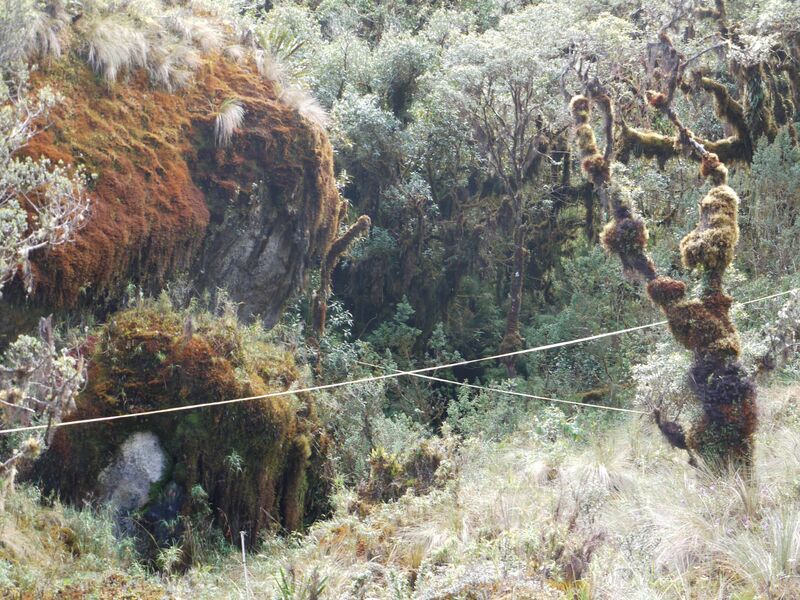 One of the main threats to Andean plant communities is climate change. Species survival and performance is highly dependent on environmental temperature. Ongoing global warming is expected to affect where different species occur and cause marked changes in community composition. These changes could in turn alter the valuable ecosystem services that tropical montane forests provide. Therefore, understanding the effect of climate change on these forests is crucial for improving ecosystem management and conservation efforts. Previous work has shown that global warming has led to altitudinal species migrations in temperate mountain forests and at a few specific places in the Andes, but it was still unknown whether the Andes as a whole are undergoing widespread changes in species ranges and community composition, and whether these changes are consistent across the elevation gradient. As mentioned before, obtaining data from the Andes is very hard. Working conditions are extreme and establishing and measuring vegetation plots requires a huge investment of blood, sweat and tears (not to mention time and money!). 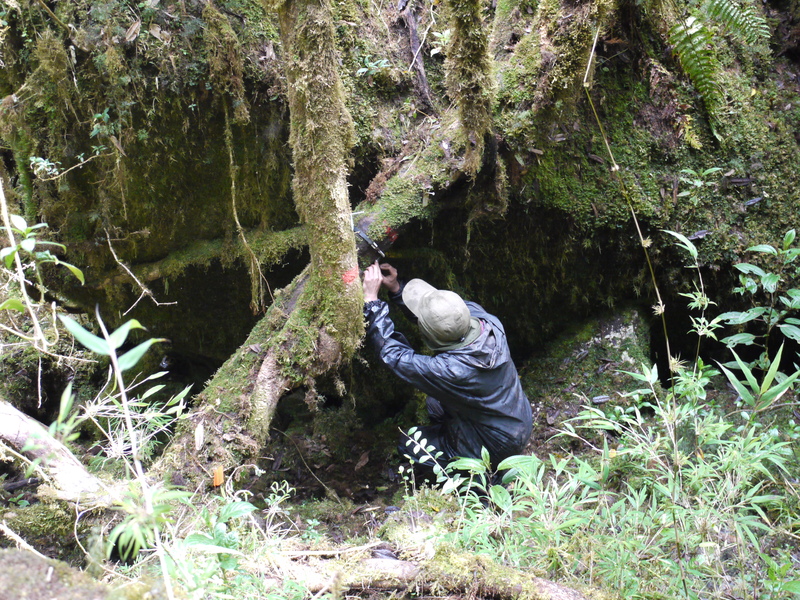 There are not many scientists who have overcome all these challenges, but lucky for me, many of them have decided to collaborate with me and shared the fruits of the labor through a new Andean forest monitoring network ‘Red de Bosques’ in order to help answer large scale questions about tropical forest and the possible effects of climate change. There are 20 authors on this paper, but behind each author, there is a large team of people that makes this type of long-term and large-scale research possible – including scientists helping to write grants, funding agencies providing money to complete the censuses, field technicians, botanists, and intrepid students who offer their services without really knowing what they are getting themselves into. With the help of all these people, my colleagues and I compiled a database of nearly 200 Andean forest inventory plots spanning over 3000 meters of elevation and spread from the northern tropical Andes in Colombia to the subtropical Andes of northern Argentina. Within each of these plots all of the individual trees have been tagged, identified to species and had their diameter measured, sometimes even with repeat censuses dating as far back as 1991. Based on our analyses of these data, we find strong evidence of that plant migration, or more specifically, thermophilization (i.e., an increase in the relative abundance of heat tolerant plant species) is occurring widely throughout the Andes. This supports the idea that global warming is causing species ranges to shift upwards towards colder elevations. Another novel finding is that the rates of migration are not consistent across elevations. Instead, migration appears to be slower of absent at the highest and mid-elevations. 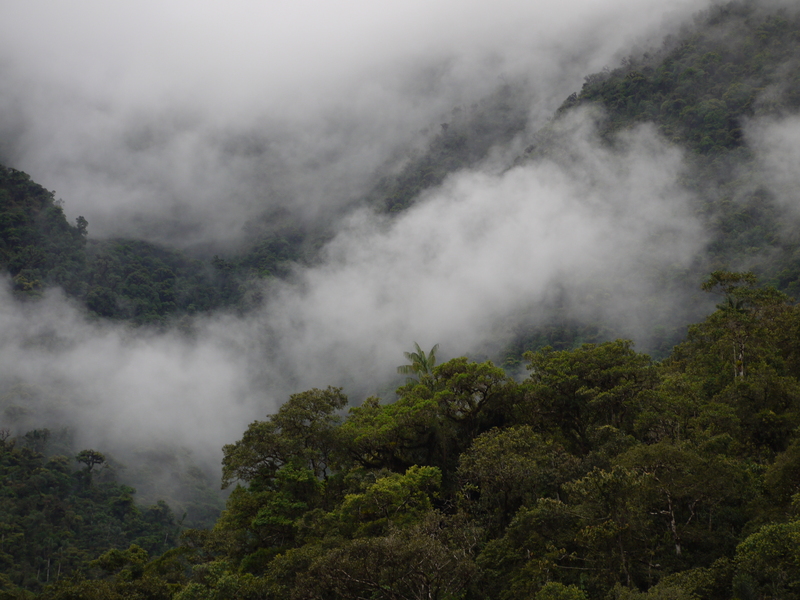 These elevations correspond to strong ecological ecotones – the treeline transition from forest to grasslands, and the cloud base transition from premontane to cloud forest, respectively. We hypothesize that these ecological ecotones present a barrier to species migrations and are preventing compositional changes even in the face of climate change. On average, we found that plant species are migrating at a rate ten times slower than what is required for them to keep at equilibrium with rising temperatures. Given these slow migration rates, the existence of barriers, and the asynchronous migration of plant communities across the Andes, many species may be at high risk of extinction. 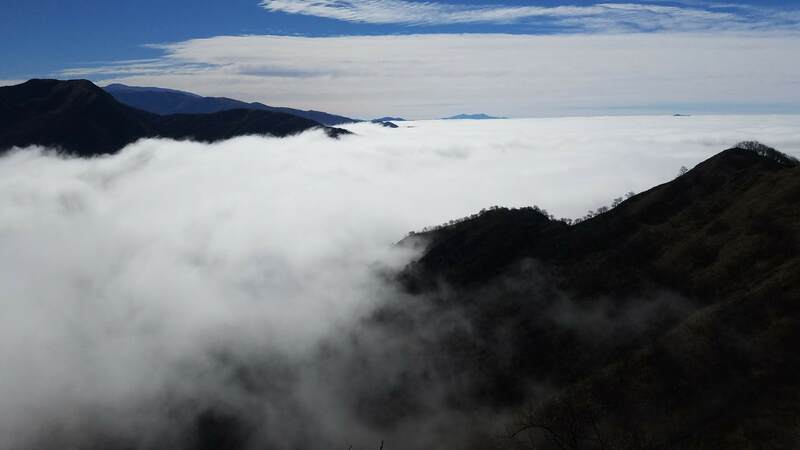 This study demonstrates that fieldwork, continuous monitoring of vegetation plots and collaboration of researchers is crucial for monitoring the impact of climate change in the Andes.